Background/aim: Urticaria is a vascular skin reaction characterized with papules and plaques. Neopterin is accepted as an immunologic marker and an indicator of activation of the immune system. Homocysteine and asymmetric dimethylarginine (ADMA) are the markers of increased vascular resistance. Alteration in vascular resistance has a role in the pathogenesis of urticaria. We aimed to investigate whether there is a relationship between urticaria and neopterin, homocysteine, or ADMA. Materials and methods: The study is designed as a prospective descriptive study and patients with a diagnosis of urticaria in the emergency department were included in the study. Demographic data and characteristics of the disease were recorded. Neopterin, homocysteine, and ADMA levels were measured both during and after urticaria attacks. All data were statistically analyzed. Results: The differences between neopterin levels measured during and after urticaria attacks were statistically significant (P < 0.001). The differences between homocysteine and ADMA levels measured during and after urticaria attacks were not statistically significant (P > 0.05). Conclusion: Our results indicate that neopterin levels in patients with urticaria attacks are increased and the level of neopterin is also a useful parameter in acute urticaria. Further studies should clarify whether homocysteine levels contribute to diagnosis of acute urticaria. However, no relation was found between ADMA and urticaria. Lin RY, Schwartz LB, Curry A, Pesola GR, Knight RJ, Lee HS, Bakalchuk L, Tenenbaum C, Westfal RE. Histamine and tryptase levels in patients with acute allergic reactions: An emergency department-based study. J Allergy Clin Immunol 2000; 106: 65–71. Zuberbier T, Asero R, Bindslev-Jensen C, Walter Canonica G, Church MK, Giménez-Arnau A, Grattan CE, Kapp A, Merk HF, Rogala B et al. EAACI/GA(2)LEN/EDF/WAO guideline: definition, classification and diagnosis of urticaria. Allergy 2009; 64: 1417–1426. Brown MD. Urticaria. In: Schwartz GR, Cayten CG, Mayer TA, Mangelsen MA, Hanke BK, editors. Principles and Practice of Emergency Medicine. Philadelphia, PA, USA: Lea & Febiger; 1992. pp. 2297–2304. Arslan Z, Özmen S, Sürmeli S, Arda N. Atypical acute urticaria in children and its relationship with urticarial vasculitis. Turk J Med Sci 2011; 41: 87–92. Sampson HA. IgE-mediated food intolerance. J Allergy Clin Immunol 1988; 81: 495–504. Demirbas S, Cakir E, Akgul EO, Seyrek M, Cayci T, Kurt YG, Uysal B, Aydin I, Kurt B, Yaman H et al. Elevated serum neopterin levels in acetaminophen-induced liver injury. Environ Toxicol Pharmacol 2011; 31: 165–170. Murr C, Widner B, Wirleitner B, Fuchs D. Neopterin as a marker for immune system activation. Curr Drug Metab 2002; 3: 175–187. Aral LA, Yücel AA. Cytokine associated neopterin response of peripheral blood mononuclear cells to in vitro Epstein–Barr virus transformation process of B lymphocytes. Turk J Med Sci 2013; 43: 562–568. Sucher R, Schroecksnadel K, Weiss G, Margreiter R, Fuchs D, Brandacher G. Neopterin, a prognostic marker in human malignancies. Cancer Lett 2010; 287: 13–22. Ciprandi G, De Amici M, Berardi L, Vignini M, Caimmi S, Marseglia A, Marseglia G, Fuchs D. Serum neopterin levels in spontaneous urticaria and atopic dermatitis. Clin Exp Dermatol 2011; 36: 85–87. Cooke JP. ADMA: its role in vascular disease. Vasc Med. 2005; 10 (Suppl. 1): S11–17. Alaçam H, Avcı B, Şalış O, Dilek A, Kozan A, Mertoğlu C, Şahin M, Okuyucu A. Does ADMA affect the oxidant/antioxidant balance in rats? Turk J Med Sci 2013; 43: 405–410. Yilmaz MI, Saglam M, Sonmez A, Caglar K, Cakir E, Kurt Y, Eyileten T, Tasar M, Acikel C, Oguz Y et al. Improving proteinuria, endothelial functions and asymmetric dimethylarginine levels in chronic kidney disease: ramipril versus valsartan. Blood Purif 2007; 25: 327–335. Mehmetoğlu İ, Kurban S. Effects of two different doses of acetylsalicylic acid on serum nitric oxide, asymmetric dimethylarginine, and homocysteine levels in healthy volunteers. Turk J Med Sci 2012; 42: 269–274. Vallance P, Leone A, Calver A, Collier J, Moncada S. Accumulation of an endogenous inhibitor of nitric oxide synthesis in chronic renal failure. Lancet 1992; 339: 572–575. Tosun M, Apuhan TN. Asymmetric dimethylarginine levels in allergic rhinitis and nasal polyposis. Turk J Med Sci 2013; 43: 455–458. Klein E, Weigel J, Buford MC, Holian A, Wells SM. Asymmetric dimethylarginine potentiates lung inflammation in a mouse model of allergic asthma. Am J Physiol Lung Cell Mol Physiol 2010; 299: 816–825. Turkeli H, Cayci T, Akgul EO, Macit E, Yaman H, Aydin I, Demirin H, Alacam H, Ozkan E, Cakır E et al. Paraoxonase-1 activity determination via paraoxon substrate yields no significant difference in mild hyperhomocysteinemia. Int J Cardiol 2010; 145: 42–43. Aydın M, Koca C, Uysal S, Totan Y, Yağcı R, Armutcu F, Cücen Z, Yiğitoğlu MR. Serum nitric oxide, asymmetric dimethylarginine, and plasma homocysteine levels in active Behçet’s disease. 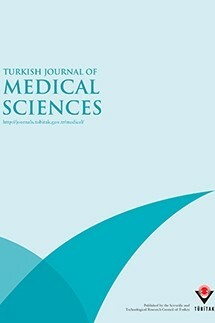 Turk J Med Sci 2012; 42: 1194–1199. Antoniades C, Antonopoulos AS, Tousoulis D, Marinou K, Stefanadis C. Homocysteine and coronary atherosclerosis: from folate fortification to the recent clinical trials. Eur Heart J 2009; 30: 6–15. Kruman II, Culmsee C, Chan SL, Kruman Y, Guo Z, Penix L, Mattson MP. Homocysteine elicits a DNA damage response in neurons that promotes apoptosis and hypersensitivity to excitotoxicity. J Neurosci 2000; 20: 6920–6926. Wustmann K, Klaey M, Burow A, Shaw SG, Hess OM, Allemann Y. Additive effect of homocysteine- and cholesterol- lowering therapy on endothelium-dependent vasodilation in patients with cardiovascular disease. Cardiovasc Ther 2012; 30: 277–286. Schroecksnadel K, Frick B, Wirleitner B, Schennach H, Fuchs D. Homocysteine accumulates in supernatants of stimulated human peripheral blood mononuclear cells. Clin Exp Immunol 2003; 134: 53–56. Ozdemir O, Yakut A, Dinleyici EC, Aydogdu SD, Yarar C, Colak O. Serum asymmetric dimethylarginine (ADMA), homocysteine, vitamin B(12), folate levels, and lipid profiles in epileptic children treated with valproic acid. Eur J Pediatr 2011; 170: 873–877. Cooke JP. Asymmetrical dimethylarginine: the Über marker? Circulation 2004; 109: 1813–1818. Cayci T, Akgul EO, Kurt YG, Ceyhan TS, Aydin I, Onguru O, Yaman H, Cakir E, Yasar M, Bilgi C et al. The levels of nitric oxide and asymmetric dimethylarginine in the rat endometriosis model. J Obstet Gynaecol Res 2011; 37: 1041– 1047. Gul H, Uysal B, Cakir E, Yaman H, Macit E, Yildirim AO, Eyi YE, Kaldirim U, Oztas E, Akgul EO et al. The protective effects of ozone therapy in a rat model of acetaminophen-induced liver injury. Environ Toxicol Pharmacol 2012; 34: 81–86. Akgül EÖ, Çakır E, Özcan Ö, Yaman H, Bilgi C, Erbil MK. A comparison of three high performance liquid chromatographic (HPLC) methods for measurement of plasma total homocysteine. Turk J Med Sci 2005; 35: 289–295. Hoffmann G. More on: neopterin induces the proatherothrombotic phenotype in human coronary endothelial cells. J Thromb Haemost 2007; 5: 211–212. Murr C, Pilz S, Grammer TB, Kleber ME, Böhm BO, März W, Fuchs D. Low serum zinc levels in patients undergoing coronary angiography correlate with immune activation and inflammation. J Trace Elem Med Biol 2012; 26: 26–30. Samsonov MY, Nassonov EL, Tilz GP, Geht BM, Demel U, Gurkina GT, Shtutman VZ, Guseva AG, Wachter H, Fuchs D. Elevated serum levels of neopterin in adult patients with polymyositis/dermatomyositis. Br J Rheumatol 1997; 36: 656– 660. Sanchez-Regana M, Catasus M, Creus L, Umbert P. Serum neopterin as an objective marker of psoriatic disease activity. Acta Derm Venereol 2000; 80: 185–187. Reinhold U, Pawelec G, Wehrmann W, Herold M, Wernet P, Kreysel HW. Immunoglobulin E and immunoglobulin G subclass distribution in vivo and relationship to in vitro generation of interferon-gamma and neopterin in patients with severe atopic dermatitis. Int Arch Allergy Appl Immunol 1988; 87: 120–126. ISNAD TUNCER, SALİM KEMAL , KALDIRIM, ÜMİT , EYİ, YUSUF EMRAH , YILDIRIM, ALİ OSMAN , EKİNCİ, ŞAFAK , KARA, KEMAL , EROĞLU, MURAT , ÖZTOSUN, MUZAFFER , ÖZYÜREK, SELAHATTİN , DURUSU, MURAT , GÜLEÇ, MUSTAFA , ÇAYCI, TUNCER , ALTINEL, ÖZCAN , YAMANEL, HÜSEYİN LEVENT . "Neopterin, homocysteine, and ADMA levels during and after urticaria attack". Turkish Journal of Medical Sciences 45 / 6 (December 2015): 1251-1255.